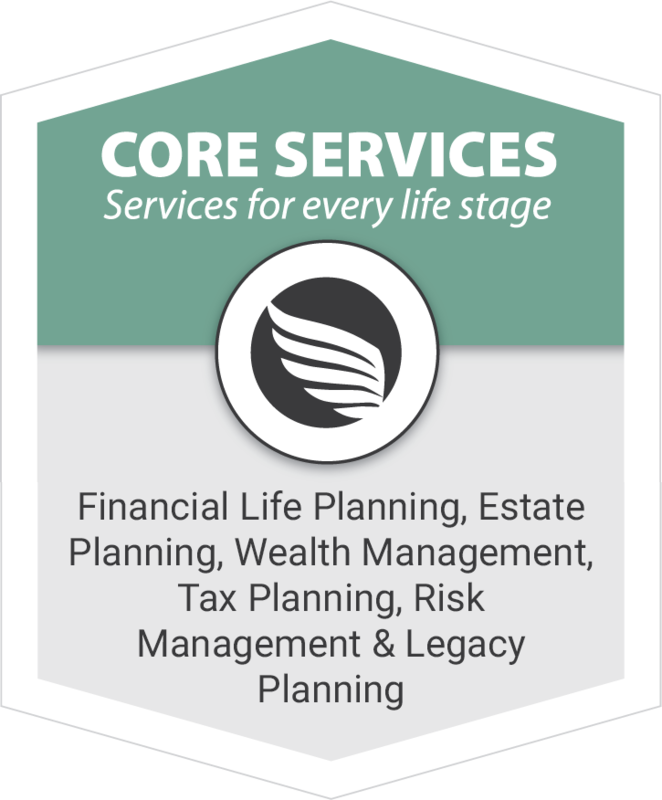 We serve the specialized planning needs of successful individuals and families. Solidify your control over your affairs. Assure the continuance of your lifestyle through tax-free conversion of paper profits. Protect your wealth and income from legal judgements. Eliminate or substantially reduce capital gain and income taxes. Manage the value of your business interests. Facilitate your ability to pass value, responsibility, and work stewardship ethics to your heirs. Eliminate or substantially reduce excise, gift, estate, and generation skipping taxes. Keep your affairs free from publicity, and the costs or delay of probate. In short, we can bring order to your affairs and generate very substantial tax savings while meeting your specialized objectives. Over the years, we have learned that forward progress to reaching our goals requires clarity. Clarity comes with determining the why you are planning as well as the what you want to have happen. Life is full of milestones, opportunities, and choices – many of which are financial in nature. Having a plan in place can better prepare you to make appropriate decisions when those events arise. We believe that planning is a dynamic process that should evolve with the changes in your life. Our process begins by learning about you and your unique circumstances. Understanding your current situation will help us guide you to make appropriate decisions throughout your journey. There are key stages (transitions) throughout a lifetime that have a significant impact on living. These stages all have financial implications. Protection from lawsuits and government. Developing a written plan to increase the value of a successful business. Anticipating both income and expenses on an ongoing basis. Helping people keep control of their affairs as they age and protect both themselves and their loved ones as their circumstances change. Working with your representatives to make certain your end of life wishes are followed. Process of passing value and responsibility to those individuals and organizations that are important to you. Offering you more control, oversight and confidentiality to make sure your financial obligations are aligned with your values. Helping you successfully meet your duties as a helper for others – agent, patient advocate, trustee, personal representative, guardian or conservator. A client centered approach to helping individuals and families be prepared for life transitions. Passing on the financial assets, and including life lessons, end of life wishes and personal objectives and stories. Investment where capital is invested for optimal social, environmental and financial impact. Providing fiduciaries with structure to fulfill the duties and responsibilities while helping manage money for others. A definitive plan for managing your total wealth while you are alive, distributing your estate after your death, and creating a clear path to pass on your legacy. Empowering and teaching clients to effectively direct their resources consistent with their deepest values. Helping identify certain risks and developing a plan to transfer risks to others where that is the best choice. Providing specialized planning tailored to supplement income and provide care for individuals who do not have the means to provide for their own care. 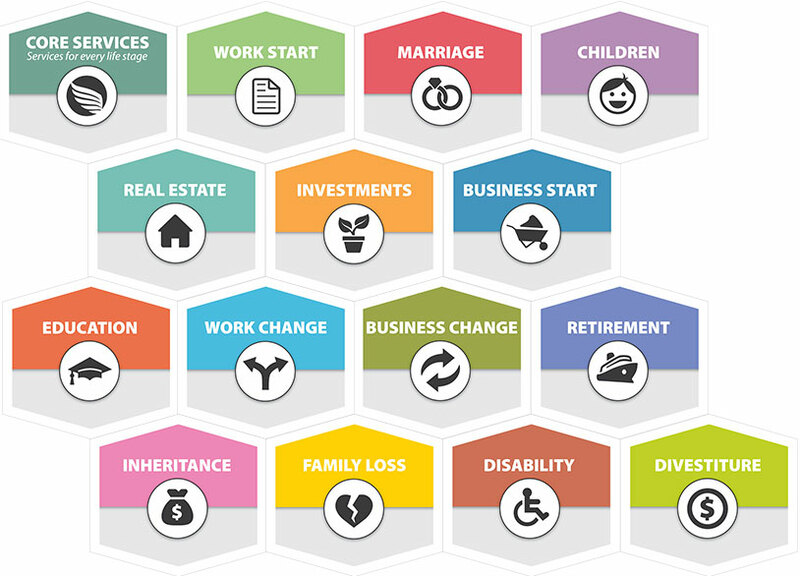 Making financial decisions including ownership, with thought as to how each decision might effect all taxes – income, gift, estate and property. Developing a plan that will minimize transfer costs and accomplish the trust makers’ goal of providing for his or her loved ones. Assistance to successor trustees in fulfilling their duties and responsibilities to the trust maker. Wealth management is about much more than money. It is mostly about you and what is important to you.